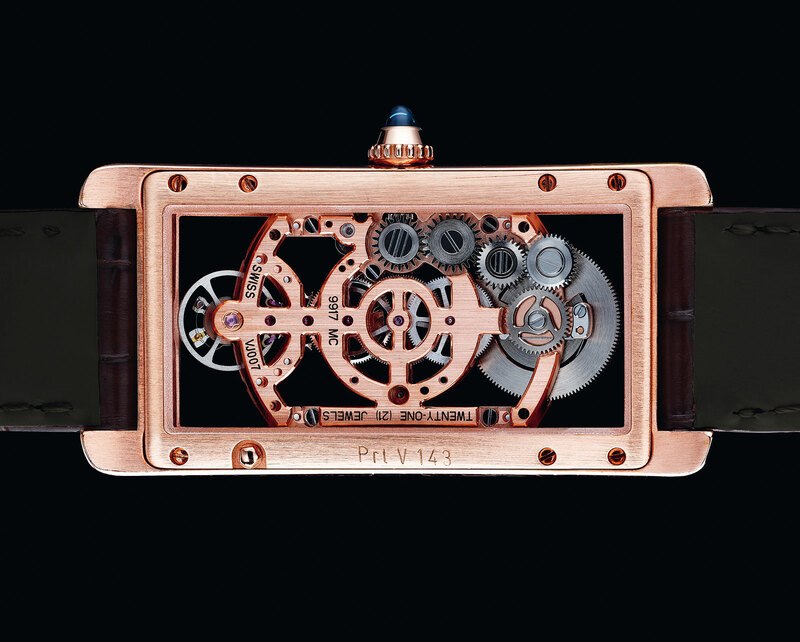 Inspired by the newly invented armoured vehicles of the First World War, the Cartier Tank premiered in 1917 and has been in production since, making it once of the longest lived wristwatch designs ever. 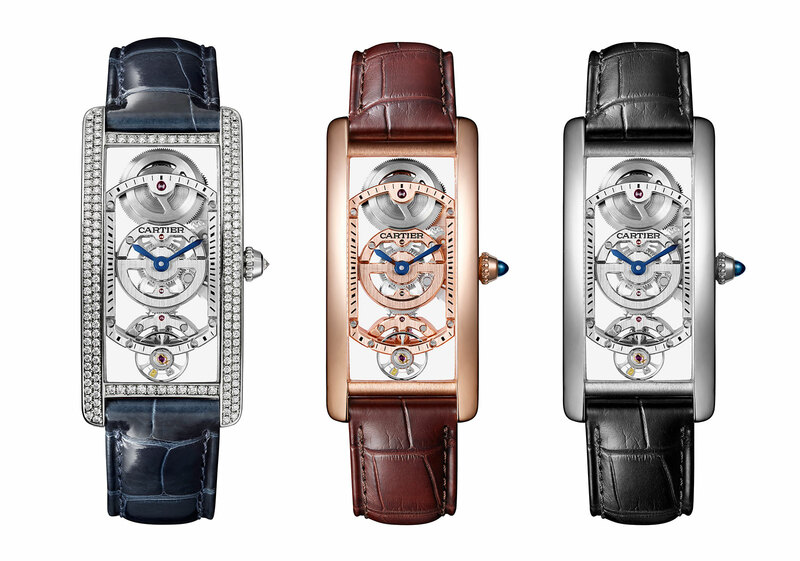 To mark its 100th anniversary Cartier has introduced a suite of new models, including the elegant and spare Tank Cintrée Skeleton. 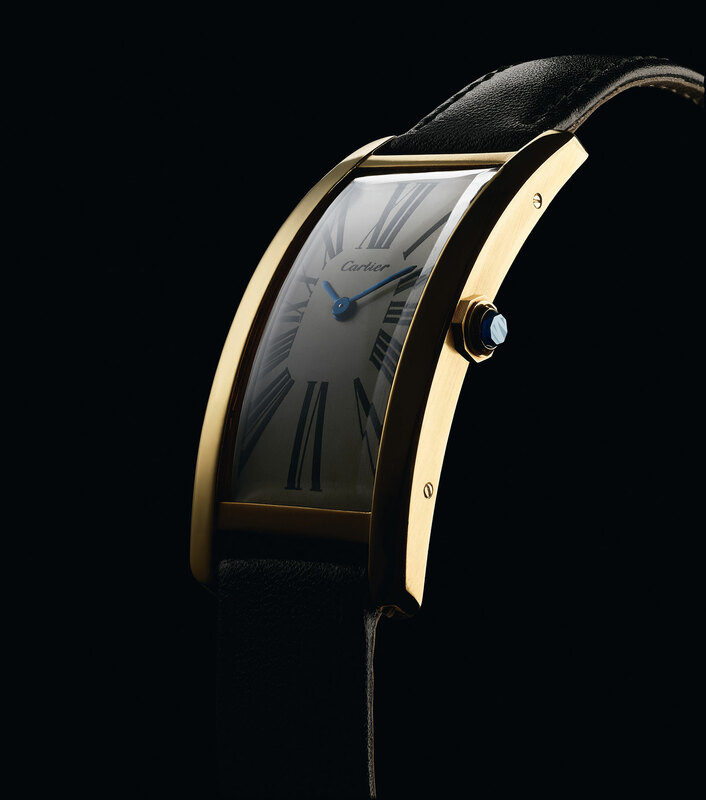 Narrow, slim and slightly curved in profile, the Tank Cintrée is arguably the most elegant of Tank wristwatches. Conceived as a skeleton watch for the first time, the anniversary limited edition is available in platinum or pink gold, each limited to 100 pieces. A smaller run in platinum with a diamond-set case will also be available. It’s powered by the hand-wound cal. 9917 MC, a newly developed, in-house movement that is slightly curved to match the shape of the case. Constructed to have a near symmetrical layout running vertically, the cal. 9917 MC has the barrel at 12 o’clock, balance wheel at six, and the gear train in between. The Tank Cintree Skeleton in pink gold (ref. 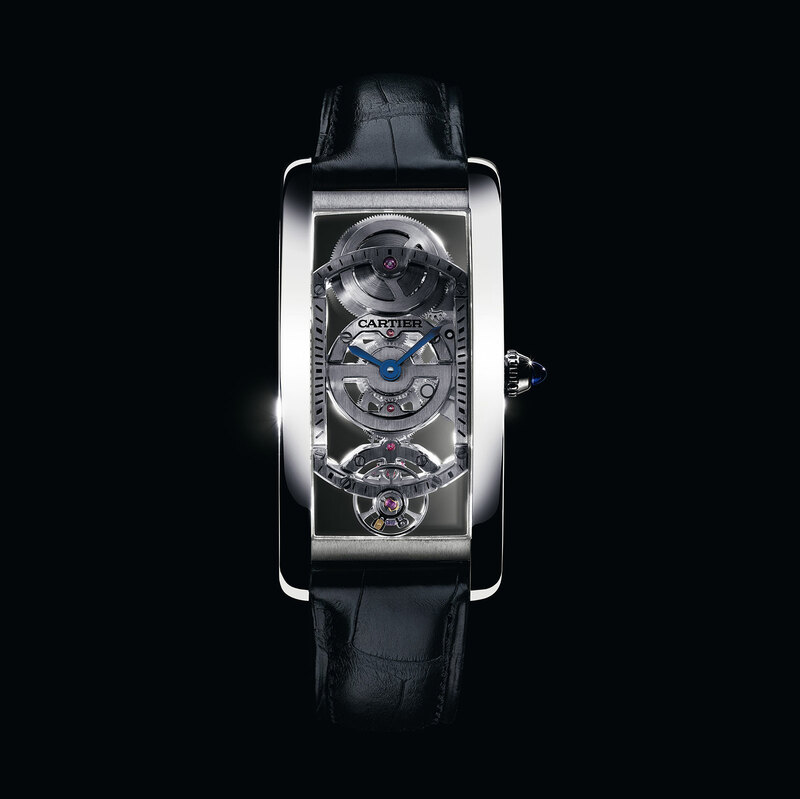 WHTA0008) is priced at US$61,000, while the same in platinum (WHTA0009) is priced at US$65,000. And the version in platinum set with diamonds (ref. HPI01123) is US$95,500.